Jan.2006 ... Looking eastwards along Broad Street from the junction of Orr Street. 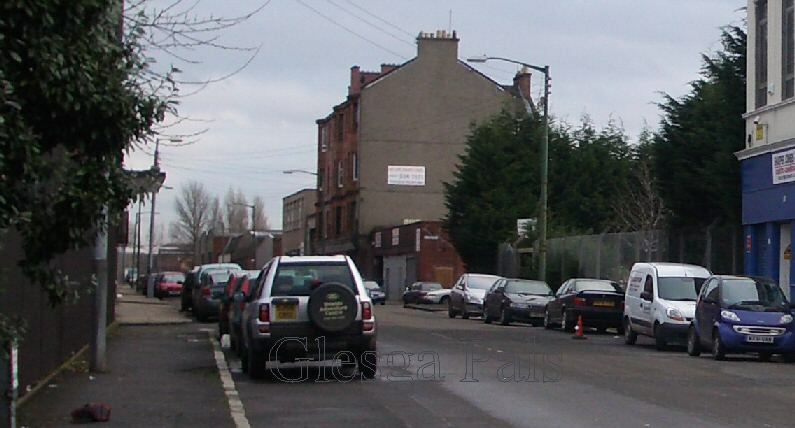 The trees on the left where a tenement once stood is now a car park. 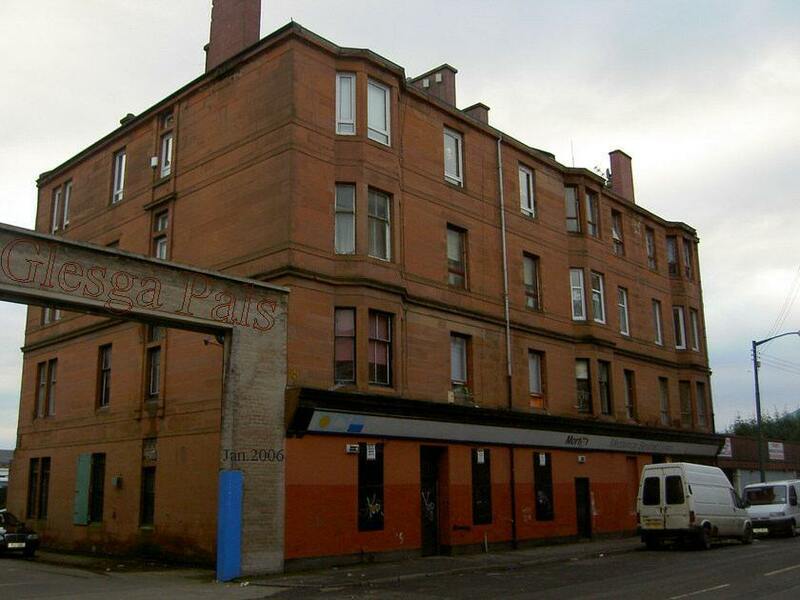 Looking further along to the right is the last remaining tenement in Broad Street.